Original List Price: $740,000. List Price at Contract: $740,000. What a gorgeous time capsule house. It was on the market for over two weeks, which feels like an eternity in DC real estate market time. This solid Tudor sold for $20,000. 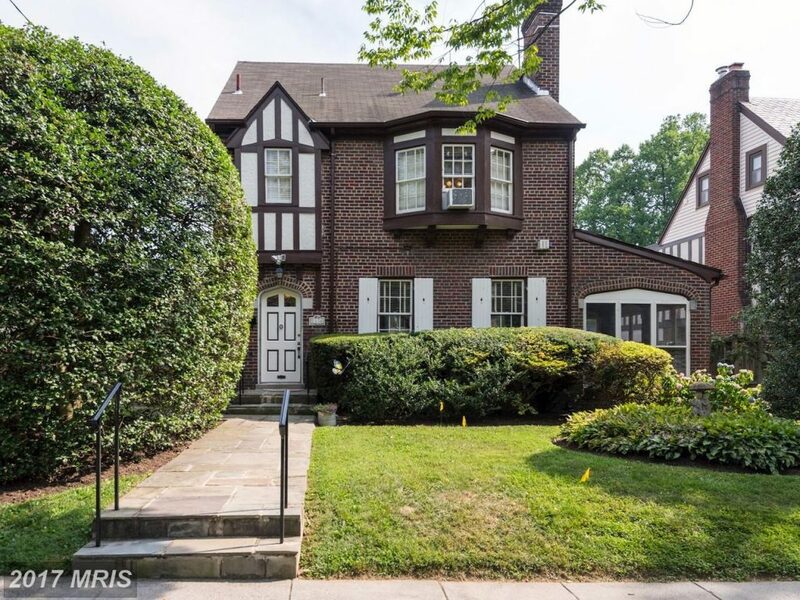 below list in a NW DC neighborhood close to Rock Creek Park and at the Silver Spring edge of the city. It is also not far from major upcoming development at the former Walter Reed Army Medical Center site. With only sixteen settled sales of fee simple homes in the Shepherd Park neighborhood so far into 2017, it could be described as an area with slow turnover. Many homeowners have been in these houses for decades. Not only is inventory tight right now, it is actually non-existent. There are no currently active listings in Shepherd Park as I write this. Shepherd Park is a neighborhood of detached homes and lots of similar size to those in NE neighborhoods like Brookland and Woodridge. The prices for detached homes sold in Shepherd Park in 2017 ranged from $525,000. to $1,575,000. The listing agent for this property was John Keller with Long and Foster Real Estate, Inc. Jason Cohen with Keller Williams Capital Properties represented the Buyer in the purchase of this property.